Hello people of the internet!!! On today’s ‘Monday Memos’ we are going to talk about last week’s 2014 CMAs (Country Music Awards). This year’s show was once again co hosted by country music superstars Carrie Underwood and Brad Paisley, and featured really cool musical performances. Once again, Carrie and Brad were able to use their combination of witty banter, musical talents, and comic timing to poke fun at some of this year’s most highly profiled current events. They also performed a very funny song about George Strait not being at the show this year, and then later when they “discover” that he is at the show, they make comments about why he hasn’t gone anywhere (which is a joke about the tour that George Strait just completed, which was called ‘The Cowboy Rides Away’). The hosts opening monologue was definitely a fun way to kick off such an exciting, high energy show. So now let’s move on to the awards and musical performances! Now if you were listening to country radio this year, you definitely heard this song (this single even reached #3 on the Billboard US Country AirPlay chart). Of course no one should be surprised at this win, because Miranda co-wrote the song and we all know that right now Miranda Lambert truly has the Midas touch. This is another song that you’ve definitely heard all year long. This song was certainly a big hit as the 3rd single off of Kacey’s debut big label album, and its success is definitely evidence that we haven’t heard the last of this rising star. Brett Eldredge first made his impact on the country music scene in 2012 when his single ‘Don’t Ya’ (which was certified Platinum in the U.S.) was released to country music radio and reached #1 on the Billboard Country Airplay chart. This single was followed up with the similarity successful single ‘Beat of The Music’ (was certified Gold in the U.S.) in 2013. With such a strong show on his debut album, it’s not a surprise that Brett won this honor. Ok everyone who was surprised by this please raise your hands. Let me guess, there are no hands raised right? Yeah, if you’ve listened to the radio AT ALL this past year (country and pop radio), then you’ve heard of the country power duo Florida Georgia Line. These rising stars have also had cross-over remixes of two of their hit singles (Cruise & This Is How We Roll) with features from r&b/pop/rap stars Nelly and Jason Derulo. With their iron grip on both country and pop radio, I foresee 2015 to be an even BIGGER year for Florida Georgia line. Midas strikes again! With her success from the singles ‘Automatic’ & ‘Somethin’ Bad’ (which features fellow superstar Carrie Underwood, and has been certified Gold, as well as peaking at #1 on the Billboard U.S. Hot Country Songs), this was definitely a hard album to beat. With a new album which made its’ debut at #3 on the Billboard U.S. Top Country Albums, and a lead single (entitled ‘Day Drinkin’), which peaked at #4 on the Billboard U.S. Country Airplay, this was certainly Little Big Town’s year to win this top honor. With highly successful careers as the front man of the country rock band ‘Pure Prairie League’ and as a solo artist, Vince Gill is the definition of a country music icon. As a solo artist, Vince Gill has won every country music award (multiple times), has won 20 Grammy awards, was inducted into the Nashville Songwriters Hall of Fame (in 2005), and was awarded with a star on the Hollywood Walk of Fame (2012). Honestly I could sit here and list all of Vince Gill’s INCREDIBLE accomplishments but that would take pages and pages. To make a long story short, if you listen to any one of Vince Gill’s records, you will definitely see why he deserves this award. This year Blake has certainly used his voice to prove why he deserves this top honor. This year, Blake released his latest album ‘Bringing back the Sunshine’, which peaked at #1 on the Billboard U.S. 200 chart(which counts albums of all genres) & #1 on the Billboard U.S. Top Country Albums chart. The album also produced a single that peaked at #3 on the U.S. Country chart. Midas is here y’all…Midas is here! I don’t think I need to tell y’all why Miranda deserves this award, but in case you forget…listen to her latest album ‘Platinum’, and you’ll remember why she is so awesome. Well now we’ve reached the final award, and although the competition was extremely fierce, it is clear why Luke Bryan walked away with this award. His 2013 album ‘Crash My Party’ was SUCH a huge album for the country music superstar that it peaked at #1 on both the Billboard U.S. 200 & Top Country Albums, as well as producing 3 consecutive #1 singles, and two more singles that peaked at #2 and #5 respectively. If these statistics don’t convince you that Luke Bryan IS the country music entertainer of the year, then take a listen to his album ‘Crash My Party’ and you’ll see how his ability to entertain translates through the album so effortlessly. Kenny Chesney kicked off the show with his performance of his 1st single ‘American Kids’ off of his latest album ‘The Big Revival’. The number consisted of a very hippie/bohemian theme, complete with fun multicolored lights, and a multicolored bus in the background, complete with an American flag. Kenny’s dancers were also dressed to match the theme, and made the audience feel as if they were invited to an awesome party. Next up we had a fun performance by two of music’s sassiest performers Miranda Lambert & Meghan Trainor! They performed a fun and unique performance of Meghan’s hit ‘All About That Bass’. The backdrop of the stage flashed the word ‘Bass’ in different colors throughout the number, and Miranda and Meghan both let their sassiness fly and because of this ha the audience hanging on their every word. Lady Antebellum stepped up next with their infectious hit single ‘Bartender’. The performance was even more fun to watch with the addition of white, blue, purple, and red lights that kept the “party vibe” of the show going. There were also A LOT of small lights that went all around the stage, that made the stage look as if it were surrounded by stars, and this added the perfect finishing touch to a great performance. Next up we had an AMAZING performance of Florida Georgia Line’s single ‘Dirt’. Usually Florida Georgia Line tends to move around a lot during big award show performances, so I thought that it was a really cool change of pace to see them both sitting down and accompanying themselves on guitar. This performance also showed that these talented guys are able to not only draw in an audience through their stage presence, but simply through their musical skills. The backboard of the stage had cool revolving images of houses, roads, and fences in yellow and orange colors that made the images look as if they would explode at any second. Keith Urban was next with his performance of his hit single ‘Somewhere In My Car’. The staging was cool with strobe lights that flashed all over the stage, but as always; it was Keith’s voice and unnatural guitar skills that stole the show. It honestly would not be a Keith Urban show without an EPIC guitar solo and he certainly did not fail. The Band Perry was up next, with their performance of ‘Gentle In My Mind’, in honor of the great Glen Campbell. I really loved that the staging for this song was very simple, so the attention of the performance was on the song itself. The Band Perry added their own twist to the hit by changing the arrangement slightly, which brought a fresh vibe to the classic tune. One of country music’s newest rising star Kacey Musgraves, performed the hit ‘You’re Lookin at Country’ with the iconic Loretta Lynn (who made the song famous in 1971). The backdrop of the stage has a very classic country look with a barn that said ‘Grand Old Opry’ on it. This was a really awesome performance that brought together the worlds of classic and modern country into a performance that was one of the standout numbers of the night. Jason Aldean rocked the stage next with a performance of his single ‘Burning It Down’. The performance had a very country meets rock vibe, complete with cool red and white lights, and lots of energy that just made you want to get up and dance. Next we had another “mash of the genres”, when Little Big Town performed with special guest Ariana Grande. First Little Big Town came onstage to perform their latest hit ‘Daydrinkin’. This had to be my favorite performance of the night because of all of the cool visual aspects of the number. The board consisted of two levels of drummers with black suits that had red lights. You could really only see the red lights, so this made the drummers look EXTREMELY cool (I honestly can’t even express just how cool this looked)! Little Big Town had similar outfits on, which added such a cool futuristic feel to their performance that said it apart from the all of the other performances. As always their vocals were VERY on point and near perfect (which is HARD to do in a group). Once ‘Daydrinkin’ was over, the lights instantly switched from red to blue, and Ariana Grande came out to sing a snippet of her hit collaboration ‘Bang Bang’. Little Big Town joined her, and in doing so added a fun country meets r&b flair to the song that was very cool. Tim McGraw was up next with his song ‘Shotgun Rider’, which brought the classic Tim McGraw vine that fans have grown to love. The staging was very simple with cool blue lights circling the stage, and the confidence and energy that are now a Tim McGraw staple. Cole Swindell: Cole Swindell performed a snippet of his song ‘Chillin It’, before announcing the winners of the award for ‘Radio Stations of The Year’. Even though Cole only performed a snippet of his song, he was still able to command the stage and grab the crowd in such a way that makes me very excited to see what his future holds. Dierks Bentley was up next with his party anthem single ‘Drunk on A Plane’. The backboard of the stage had a picture of a plane on a runway, and alternating names of “destination sites”. This performance definitely kept the show’s energy up, and made the show feel less like an award show, and more like an epic concert. Co-host Brad Paisley performed next with his latest hit ‘Perfect Storm’. The number had an AWESOME Brad Paisley style guitar solo (which the crowd went wild for), and an energy and likability that showed why Brad’s career is steadily on the rise with no sign of slowing down. Blake Shelton & Ashley Monroe were up next with their emotional duet ‘Lonely Tonight’, which had the crowd captivated from the first note, to the last. The staging for this number was very simple and stripped down, which perfectly brought out the intimate feel of the song, and really made you feel every word. Co-host Carrie Underwood performed her latest hit ‘Something In The Water’. The backboard had REALLY cool blue lights that floated around and made it look like there was a giant waterfall behind Carrie, that later changed to multicolored lights. Later in the performance a choir of people walked on to accompany Carrie, and added a cool twist to the performance that matched the song perfectly. As always, Carrie’s show-stopping vocals took center stage during this number, and perform that she still has a HUGE presence in country music (BRAVO CARRIE UNDERWOOD!!!). Next up we had the Entertainer of The Year himself, Mr. Luke Bryan. He performed his newest hit ‘Rollercoaster’, and had very simple staging. The backboard was grey with clouds and occasional thunder. Luke allowed his natural charisma to take center stage, and the crowd completely loved it (and they were even singing back to him at one part of the song). Miranda Lambert & Little Big Town took the stage once more to perform their duet ‘Smokin and Drinkin’ (off of Miranda’s latest album). The staging consisted of a lot of cool smoke and lights, which helped add a cool vibe to the performer that perfectly matched the chilled vibe of the song, Miranda & Little Big Town’s vocals went together perfectly, and made it clear that these two acts NEED to release more tracks together. King George Strait returned to the CMA stage once more with his performance of his 2003 hit ‘Cowboys Like Us’. The backdrop had a lot of cool pictures of George Strait throughout his career, and added a very classic country feel to the performance. Eric Church added a little rock to George Strait’s classic country vibe, and brought another great example of what happens when modern and classic country merge. Thomas Rhett performed a snippet of his hit song ‘Get Me Some of That’, while he announced the winners of the CMA ‘Personalities of The Year’ awards. Although his performer was short, Thomas certainly held his audience’s attention the entire time, and showed why he is a rising star to watch. The Doobie Brothers, Jennifer Nettles, Hillary Scott, & Hunter Hayes were up next with their performance of The Doobie Brothers hit ‘Listen To The Music’. The high energy performance was EXTREMELY fun to watch, and brought musicians from the whole spectrum of country music, to bring a fresh sound to this awesome song. The Doobie Brothers, Jennifer Nettles, and Hillary Scott killed their vocal performances, and Hunter Hayes had an AMAZING guitar solo that the crowd went crazy for. What I loved most about this performance was the fact that it felt less like a calculated award show performance, and more like a bunch of musicians jamming out. The Doobie Brothers closed the show with their song ‘Takin it To The Streets’, (with some help from Jennifer Nettles, Hillary Scott, Hunter Hayes, & Brad Paisley). The number included an AWESOME keyboard solo, and had a very old school feel and energy that made the performance feel like an AMAZING concert. All photos and information used in this blog belong to the CMAs, The city of Nashville, The State of Tennessee, Miranda Lambert, RCA Nashville, Nicolle Galyon, Natalie Hemby, Mercury Nashville, Brandy Clark, Shane McAnally, Brett Eldredge, Atlantic Nashville, Florida Georgia Line, Big Loud Mountain, Republic Nashville, Frank Liddell, Chuck Ainlay, Glenn Worf, Little Big Town, Capitol Records Nashville, Vince Gill, RCA, MCA, MCA Nashville, Blake Shelton, Giant Records, Warner Bros. Nashville, Reprise Nashville, Luke Bryan, Kenny Chesney, Blue Chair, Columbia Nashville, Rodney Clawson, Luke Laird, Shane McAnally, Epic Records, Kevin Kadish, Meghan Trainor, Lady Antebellum, Dave Haywood, Charles Kelley, Hilary Scott, Rodney Clawson, Rodney Clawson, Chris Tompkins, Keith Urban, J.T. Harding, the Band Perry, Republic Nashville, Glen Campbell, Capitol Records, John Hartford, Loretta Lynn, Decca Records, Broken Bow Records, Rodney Clawson, Chris Tompkins, Tyler Hubbard, Brian Kelley, Little Big Town, Ariana Grande, Karen Fairchild, Jimi Westbrook, Phillip Sweet, Troy Verges, Barry Dean, Jessie J, Nicki Minaj, Lava Records, Universal Music Group, Max Martin, Onika Maraj, Savan Kotecha, Rickard Göransson, Big Machine, Marv Green, Hillary Lindsey, Troy Verges, Cole Swindell, Shane Minor, Dierks Bentley, Josh Kear, Brad Paisley, Taylor Swift, Brad Paisley, Artista Nashville, Lee Thomas Miller, Ashley Monroe, Brent Anderson, Ryan Hurd, Republic Records, Universal Republic, Island Records, Gut Records, Disturbing London, Young Money Records, Cash Money Records, Republic Records, Carrie Underwood, Artista Nashville, 19 Entertainment, Chris DeStefano, Brett James, Michael Carter, Hemby, Luke Laird, Shane McAnally, George Strait, MCA Nashville, Anthony Smith, Bob DiPiero, Eric Church, EMI Nashville, Thomas Rhett, Valory Music Group, Rhett Akins, Michel Carter, Hillary Scott, Hunter Hayes, Atlantic Records, Jennifer Nettles, The Doobie Brothers, Warner Bros. Records, Michael McDonald, cmaworld.com,Tom Johnson, all other original owners. I do not own anything in this blog. If any people, corporations, businesses, companies, etc, were not previously given credit for their work, they are given credit now and their previous absence was unintentional. All opinions expressed in this blog are my own. I wrote this blog for entertainment purposes and no copyright infringement is intended. celindareyesblog November 11, 2014 No Comments on Monday Memos: 2014 CMA Awards Recap. Category: Monday Memos. Tagged: 19 Entertainment, Anthony Smith, ariana grande, Artista Nashville, Ashley Monroe, Atlantic Nashville, atlantic records, Barry Dean, Big Loud Mountain, Big Machine, blake shelton, Blue Chair, Bob DiPiero, brad paisley, Brandy Clark, Brent Anderson, Brett Eldredge, Brett James, Brian Kelley, Broken Bow Records, Capitol Records, Capitol Records Nashville, carrie underwood, Cash Money Records, Charles Kelley, Chris DeStefano, Chris Tompkins, Chuck Ainlay, CMAs, cole swindell, Columbia Nashville, Dave Haywood, Decca Records, dierks bentley, Disturbing London, EMI Nashville, Epic Records, eric church, florida georgia line, Frank Liddell, george strait, Giant Records, Glen Campbell, Glenn Worf, Gut Records, Hemby, Hilary Scott, Hillary Lindsey, Hillary Scott, hunter hayes, Island Records, J.T. Harding, jennifer nettles, jessie j, Jimi Westbrook, John Hartford, Josh Kear, Karen Fairchild, keith urban, Kenny Chesney, Kevin Kadish, lady antebellum, Lava Records, Lee Thomas Miller, little big town, Loretta Lynn, luke bryan, Luke Laird, Marv Green, Max Martin, MCA, MCA Nashville, Meghan Trainor, Mercury Nashville, Michael Carter, Michael McDonald, Michel Carter, miranda lambert, music, Natalie Hemby, nicki minaj, Nicolle Galyon, Onika Maraj, Phillip Sweet, RCA, RCA Nashville, Reprise Nashville, Republic Nashville, republic records, Rhett Akins, Rickard Göransson, Rodney Clawson, Ryan Hurd, Savan Kotecha, Shane McAnally, Shane Minor, taylor swift, the band perry, The city of Nashville, The Doobie Brothers, The State of Tennessee, thomas rhett, Tom Johnson, Troy Verges, Tyler Hubbard, universal music group, Universal Republic, Valory Music Group, vince gill, Warner Bros. Nashville, Warner Bros. Records, Young Money Records. Hey people of the internet!!! How is your Monday…I know everyone loves Monday!!! (you may now sarcastically laugh…ok that’s enough). On today’s ‘Monday Memos’ we are going to recap what happened at the first ever ‘I Heart Music Awards’…and A LOT happened so let’s get started! Now normally I talk about the host in a separate section, but this award show didn’t really have a single host and instead focused on using several different presenters. I think Pitbull served as the host (I’m not sure if that’s official or not) because he gave a very short monologue at the top of the show (after his performance). He mainly joked about the LA Clipper scandal (which is an NBA team for those of you who don’t know anything about sports…#NoShame). That was about it for the hosting duties…so let’s get the awards (yay!). This was definitely a tough category, but if we’re being completely honest, it’s hard for Rihanna to lose anything. Why you ask? Well first of all she’s Rihanna which means she’s awesome, and secondly this year she’s had hit after hit from her latest album ‘Unapologetic’ (which charted at #1 on the Billboard 200 chart). So it’s easy to see why Rihanna deserved this award. ‘Timber’ was performed at the top of the show (which I will speak about later…get excited! ), and was certainly a crowd favorite. But, this is no surprise since it did chart at #1 on the Billboard Hot 100 chart(as well as #1 on numerous other charts all over the world). Ke$ha also has a record of releasing numerous hit singles, so when you get two powerhouses together, you can’t expect anything else but collaboration gold. Now if there is an artist who has had an intense year, it’s Miley. If you’ve ever listened to ‘Wrecking Ball’, then you know that the song is full of angst and sadness, and the perfect song to cry to while eating a tub of ice cream. I think that any song that can make you think this much definitely contains some AMAZING lyrics. She’s 17, won two Grammys for her first single, which she co-wrote…yeah I would say that Lorde is the best new artist. She has also been able to make history in her home country of New Zealand by being the first solo act to get a debut single to chart #1 in the U.S. With all of this early success, I can only imagine what this young artist will achieve next. It’s no surprise that Rihanna won this award, because in order to have the success that she has had, you have to have a fiercely loyal fanbase. In her career thus far, Rihanna has been able to conquer music, movies, and has become a fashion icon for millions. ‘Rihanna’s Navy’ definitely came through on this one, and proved why they deserve this award. With 3,803,044 VERY loyal Instagram followers (and that’s just as of May 5, 2014), it shouldn’t come as a surprise that Austin took home this award. This talented young musician has been taking award shows (particularly fan voted award shows) by storm this year, and has proven that he is ready for a mainstream pop career. With the release of his debut album ‘The Secret’ expected to drop later this month, I definitely think that Austin needs to make sure he has plenty of room in his trophy case. She’s stared in a hit all teen Broadway production, on two hit Nickelodeon TV shows, and has now made her mark on Pop/R&B music (even drawing comparisons to Mariah Carey…yeah that’s intense), so you would think that it would be no surprise that Ariana received this award. However, it’s not only her impossibly perfect talent that has influence her fans, but also the fact that Ariana has cultivated a very intense connection with them, and even admits to becoming friends with some her fans after meeting them on Twitter. With such a close connection to their idol, it’s no surprise that Ariana is a large influence on her fans. Ever since this song dropped on October 22nd, 2013 it has controlled the airwaves, and has continued to launch alternative rock band Imagine Dragons into the spotlight. This band continues to prove that they can release hit after hit (they even won a Grammy last year for their song ‘Radioactive’), so it’s easy to see how ‘Demons’ had a great chance of becoming the mega hit it has become. Do I really need to explain why this song won? If you own a radio then you know what a huge hit this has been for Rihanna and Mikky Ekko. This track has charted at #1 in numerous countries, and has been acclaimed by critics. Since this track followed up Rihanna’s very popular hit ‘Diamonds’, you know it had to be catchy, relatable, and still hold a bit of that edge that sets Rihanna apart from other radio artists. This song certainly delivers and also proves that Rihanna is more than capable of digging deep and delivering emotionally driven songs with truthfulness and passion. Country superstar Blake Shelton has certainly had a huge hit with this track. It was a fun direction for Blake, but it also didn’t tray from the sound that has made his fans fall in love with him. The track reached #1 on the ‘U.S Billboard Country Airplay’, and was praised by critics for “taking a chance” with its’ sound. If you didn’t know who this Swedish DJ/Producer was before, then you definitely knew who he was after the song was released on June 17th, 2013. This song not only launched Avicii, but also singer/songwriter Aloe Blacc (who co-wrote the track with Avicii). This song has definitely helped Avicii launch himself into the forefront of the rising EDM culture in mainstream music. Until recently you may or not have known who this producer/singer/songwriter is but this year we all relieved a crash course in Pharrell 101. For nearly a decade, Pharrell has produced hits for artists such as: Gwen Stefani, Snoop Dogg, Nelly, Kanye West, Pitbull, Maroon 5, Fall Out Boy, Robin Thicke, Miley Cyrus, Beyoncé, Ed Sheeran, etc. Pharrell has been well known for years in the music industry, as an innovator due to his experimentation with different sounds, and his collaborations with artists from very diverse genres. Lately, Pharrell has taken his creativity to a new level, and is now also well known for his vocal ability and onstage showmanship (as well as his famous brown hat from the Grammys…you know which one). With such an established history and bright future, it is obvious that Pharrell will continue to make a lasting impression on the music industry. I think we’ve gone through all the reasons why Rihanna is the artist of the year. I mean with hit track after hit track, and the deep love of her fans, I don’t think that any other artist could have received this award. Pitbull and American/British/Canadian girl group G.R.L. (which was formed by the ‘Pussycat Dolls’ mastermind Robin Antin), performed their new track ‘Wild Wild Love’. The members of G.R.L. wore cool black leather short shorts and some wore fun dresses. Pitbull wore a coral jacket with a peach shirt and white pants. The back screen displayed a brown sky, with small white clouds. The staging also included lots of flashing lights that got the crowd excited. As ‘Wild Wild Love’ ended, Pitbull began performing his hit track ‘Timber’. For this performance, dancers came out and added an energy boost to the already high energy performance. This was definitely a fun way to start the show. Country superstar kept the energy high by performing his 200 hit ‘My Kinda Night’. Luke kept his outfit casual by wearing skinny jeans, a black t-shirt, and matching black baseball cap. His staging included lots if cool spotlights shooting out throughout the stage. Luke also brought his showmanship to the table by showing off fun dance moves, and interacting with the fans. He’s performance definitely made this our “kinda night”. Good job Luke! Now if you own a radio and do not live under a rock, you know who Bastille is, and you’re guilty of car singing their hit ‘Pompeii’ one too many times( it’s ok we’ve all done it…and the song is definitely awesome enough to warrant that crazy look random strangers on the road give you as you’re driving). Bastille gave an amazing performance that included lots of cool flashing lights, and the lead singer assisting on the drums at different points of the song. The performance made an impression by being very memorable, and so intriguing that you couldn’t look away. I think that this performance proved that Bastille will become as famous as they want to be (yes it was THAT amazing!). Ed Sheeran began his performance with an up tempo version of his 2012 (2011 in the U.K.) hit ‘The A Team’. The performance was shown via satellite from the ‘Hotel Cafe’ in Los Angeles, CA. He followed up this song with his newest hit ‘Sing’, which not only showed off his amazing vocal abilities, but also his guitar skills. It was a very fun performance to watch, and further cemented why Ed’s talent has been able to capture his fans’ hearts. Ariana began her performance with her breakout hit ‘The Way’ (which you have DEFINITELY had hairbrush karaoke sessions too). Ariana came out wearing a black jazz with knee-high white go-go dancing style boots. She was accompanied by several male dancers who wore white shorts and black dress coats, enter background singers wore black dresses that matched Ariana dress except they wore black boots. The back screen had ‘Ariana’ written in large bright lights. As always, Ariana gave spectacular performance of ‘The Way’. She then changed into a sparkly black dress, her background singers wore black pants and white mid drifts, and her background dancers wore black shirts (some wore white shorts) and no shirts. After changing, Ariana sang her new hit song ‘Problem’, which of course she sang flawlessly, which warranted cheers from the crowd. The most anticipated performance of the night was definitely the premiere of Michael Jackson’s debut single ‘Love Never Felt so Good’ off of his second posthumous (which means that it was released after his death) album ‘Xscape’. The track features Justin Timberlake, and was previously recorded by Johnny Mathis in 1984. The performance was really intricate, with numerous dancers who were dressed like Michael, and danced along with video of clips of Michael (which were shown on the back screens). Usher came out as the song began and danced along with the other dancers. It was really cool to see all of these talented dancers pay homage to Michael Jackson, and celebrate his work. The performance ended with a large poster falling over the screen, with the cover of Michael’s album on it. This was definitely the crowd favorite performance of the night. Hip-Hop/Rap artist was up next with his track ‘California Love’. He wore a baseball cap, blue jeans, and a cool jacket. Before his performance he did a testimony about seeing a Dr. Dre and Tupac shoot a music video in his hometown of Compton, CA. His song gave off a very 80s meets Run DMC meets Will Smith vibe, and the performer was a lot of fun to watch. 30 Seconds to Mars performed their new song ‘City of Angels’ (I’ll give you one chance to guess which city the song is about…well go on take a guess…you know you know it). The performance included testimonies from celebrities and regular people trying to have a career in LA on the good and bad things about the city (these testimonies were also in the band’s music video for the song). The performance had a very haunting vibe about it, and ended with a superman impersonator saying, “Do I think I’ll make it in the industry? Only if I keep believing”. Next Shakira performed her new song ‘Empire’. The staging was very elaborate and perfectly matched the vibe of the song. The back screen had images of leaves falling behind a black background that alternated between black, pink, and yellow. Then once the chorus hit, colored smoke was released. Shakiest certainly got really into her performance, which made the crowd go crazy for her. Shakira also brought a very rock and road vibe to her performance at one point, when he grabbed her mic stand, turned it upside down, and sang into it while holding the mic above her head. It was a very fun and unforgettable performance to watch. Next up was Blake Shelton who performed his new track ‘Doing What She Likes’. The staging was very simple, with a back screen that changed colors from blue to yellow, with the image of a palm tree on the screen. Blake accompanied his band on the guitar, and definitely gave a fun performance that the audience just loved. Arcade Fire performed their track ‘Normal Person’ (which was shown via video). Their performance included cool purple lights that lit up the stage, and the audience wearing cool foam fingers. This high energy performance was a lot of fun to watch, and continued the high energy trend that ruled the evening. The last performance of the night was given by Pharrell Williams who did a medley of several of his hit tracks. He began his performance with his track ‘Come Get it Bae’ off of his album ‘GIRL’. The staging was definitely the most elaborate of the night, and included multiple stages, and numerous dancers who wore very futuristic ‘Jetsons’ style outfits. The next song that was performed was the 2013 hit ‘Blurred Lines’. While singing this song, Pharrell went into the area that the celebrities were sitting, and sang to them. The next song that was performed was another big hit from 2013 entitled ‘Get Lucky’. While this track played, the dancers went into a circle of mirrors and danced to the song. The finally song that was fine was ‘Happy’ (which was included in the ‘Despicable Me’ soundtrack, as well as ‘GIRL’). The dancers reemerge in letterman jackets, which have them a very 50s vibe, and was a nice finishing touch to an amazing number. This award show also contained numerous testimonies from artists such as Iggy Azalea, Coldplay, John Legend, Lady Gaga, Macklemore & Ryan Lewis, Pete Wentz of Fallout Boy, Adam Levine of Maroon 5, Rita Ora, and many more. the artists spoke about their experiences in LA, their first times encountering the city, and the lessons that they’ve learned from their failures and triumphs in the music business. All photos and information used in this blog belong to I Heart Music Awards, LA Clippers, all involved with the LA Clippers, Rihanna, Pitbull, Ke$ha, Miley Cyrus, Lorde, Austin Mahone, Instagram, Ariana Grande, Imagine Dragons, Mikky Ekko, Blake Shelton, Avicii, Aloe Blacc, Pharrell Williams, Grammys, Gwen Stefani, Snoop Dogg, Nelly, Kanye West, Pitbull, Maroon 5, Fall Out Boy, Robin Thicke, Miley Cyrus, Beyoncé, Ed Sheeran, G.R.L., Luke Bryan, Robin Antin, Bastille, Ed Sheeran, Michael Jackson, Kendrick Lamar, Dr. Dre, Tupac, 30 Seconds to Mars, Shakira, Arcade Fire, Coldplay, John Legend, Lady Gaga, Macklemore & Ryan Lewis, Pete Wentz, Adam Levine, Fallout Boy, Maroon 5, Rita Ora, anyone involved in any way, shape, or form in the production, planning, or implementation of the I Heart Music Awards, popdust.com, and all other original owners. I do not own anything in this blog. All opinions expressed in this blog are my own. I wrote this blog for entertainment purposes and no copyright infringement is intended. celindareyesblog June 24, 2014 No Comments on Monday Memos: 2014 I Heart Music Awards Recap. Category: Monday Memos. Tagged: ariana grande, austinmahone, avicii, beyonce, blake shelton, boys round here, ed sheeran, fall out boy, gwen stefani, i heart music awards, imaginedragons, instagram, kanye west, ke$ha, la clippers, lorde, maroon 5, mikky ekko, mileycyrus, music, nba, nelly, pharrell williams, pitbull, rihanna, robin thicke, snoop dogg, wake me up, wreckingball. Hello people of the internet!!! 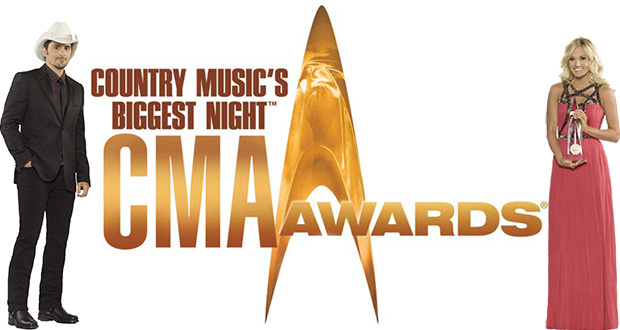 Ok, last Wednesday (November 6th) was the 47th annual CMA awards and A LOT of stuff happened. Ready? Ok, let’s get started! Once again the talented and hilarious duo of Carrie Underwood and Brad Paisley hosted the CMAs. The duo’s monologue included many funny moments including a rendition of ‘Why can’t we be friends’ which discussed celebrity feuds. The actual feud between Zac Brown of The Zac Brown Band and Luke Bryan was finally settled when the two singers hugged (awww!). As well as the feud among the Jonas Brothers, the feud between Sinead O’Connor and Miley Cyrus, as well as the feud between Jimmy Kimmel and Kanye West. The opening scene of the show also included a parody of ‘Blurred Lines’, where Carrie Underwood, Brad Paisley, and the cast of ‘Duck Dynasty’ imitated Miley Cyrus and Robin Thicke’s performance at the 2013 VMAs. The final laugh of the night for the duo was a joke about the frustration that the American public has had with the Obamacare Health Plan, which was set to the tune of ‘Amarillo by Morning’ by George Strait. All in all the banter between Carrie and Brad was really great, and once again showed what a great and hilarious team they make. This infectious song was all over country and mainstream radio this summer and was even remixed with the help of Hip Hop recording artist Nelly. Cross-over radio popularity and a killer remix on the first single of a new album? !…I can definitely see more success in this duo’s future. This heartwarming song about a fallen Afghanistan solider and the father who mourns him is performed with such powerful emotion by Lee Brice that I can see why this song deserved the title of ‘song of the year’. I think the success of cruise explains why this duo deserves the award. Although Kacey experienced previous success with her single ‘Merry Go Round’, her career was never the same when ITunes featured ‘Blowin Smoke’ as the ‘free single of the week’. With her new single ‘Follow your Arrow’ blowing up the charts, and her work on Miranda Lambert’s song ‘Mama’s Broken Heart’, Kacey is definitely an artist to watch. In my opinion this music video is not only a great PSA about the dangers of texting and driving, but a piece of art. When I first saw this video, I was captivated from beginning to end. I definitely believe that this was the music video of the year. Really what can be said about the legendary Kenny Rogers?! With more than 120 hit singles, 130 million records sold worldwide, numerous Grammys/AMAs/ACMs/CMAs, and a career that began in 1958 and is still going strong, I think that his credentials speak for themselves. Now I know that we all know who this artist is, I mean she somehow knows every detail of our lives and writes songs about it, so she’s everyone’s BFF right? Well her beautiful voice and incredible songwriting ability has helped her receive this prestigious award at the tender age of 23. Not bad Taylor! With previous hits ‘Pontoon’ and ‘Tornado’, this is a group that couldn’t miss. Also, their harmonies, and pure vocal chops are always on point, which was evident by their performance of their new single ‘Sober’ on the very night they won this award. With a long career of hits (most recently ‘Mama’s Broken Heart’, ‘We were Us’, and ‘All Kinds of Kinds’, Miranda is definitely the woman to beat, and she once again let all know on one of country music’s biggest nights. Blake once again proves why he has had such great success finding incredible talent on the ‘Voice’; on Wednesday he showed that he is the man to beat by becoming the male “voice” of country music for this year. Although many amazing artists were nominated for this award, “King” George proves that he still has it after all these years by topping country music with this coveted award. There were so many amazing performances this year so let’s get started! The show kicked off with Luke Bryan performing a shortened version of his hit ‘My Kinda Night’, which also included a snippet of ‘Cruise’ with Florida Georgia Line, and then the artists all finished ‘My Kinda Night’. The performance of these two songs was entertaining, from the amazing vocals, to the staging and lighting, it was such a great way to open the show. Jason Aldean sang his song ‘Night Train’ later in the show, and the staging was incredible. Jason performed in a manufactured train box car with a background screen which displayed trees, and dark lights shadowed the stage. New Artist of the Year Kacey Musgrave performed her new hit ‘Follow Your Arrow’, which displayed her ability to captivate a crowd without theatrics. Power trio Lady Antebellum performed their newest single ‘Compass’, which was made complete by the trio’s stunning vocals, as well as the background screen which had revolving pictures of compasses, roads, and people on horses. Group Little Big Town played their hit ‘Sober’, which placed their outstanding vocals front and center. The presence of candles in a circle around the stage further added to the ballad. Keith Urban and Miranda Lambert displayed why their new single ‘We were Us’ has been burning up the charts, by giving an electrifying performance of the song. Next up was country superstar Taylor Swift’s epic performance of her song ‘Red’, with country legends Alison Krauss and Vince Gill, as well as Sam Bush, Edgar Meyer, and Eric Darken. The softer take of the track definitely added a new dimension to it, which made an amazing song even better. Florida Georgia Line appeared once again, and this time performed their hit ‘Round Here’, which once again showed how amazing the duo is. The next performance was by Hunter Hayes and Jason Mraz, who performed their duet version of Hunter’s hit song ‘Everybody’s Got Somebody But Me’. The performance showcased both artists’ vocal talent, as well as Hunter’s amazing guitar skills. Which ended with Hunter presenting the New Artist of the Year Award to Kacey Musgrave. Eric Church performed his new song ‘The Outsiders’ next, which was spectacularly performed with the assistance of smoke, lights, fire, and a cool guitar solo. The Band Perry was up next with their new song ‘Don’t Let me be Lonely’, which was spectacular due to the band’s stellar vocals and amazing special effects. Next up, Tim McGraw performed his newest hit ‘Southern Girl’, which showed that like a wine, country superstars only get better with time (sorry for the unintentional rhyming). Blake Shelton was next with his emotional ballad ‘Mine Would be You’, which showed off the Male Vocalist of the Year’s “voice”. Internet sensations Lennon and Maisy performed a unique cover of ‘You Belong with Me’ to Taylor Swift right before she was presented with the Pinnacle Award, which resulted in a sweet moment among the three vocalist, in which Taylor hugged Maisy, which was immediately followed by video testimonies by numerous artists that Taylor opened up for when she was a new artist. Carrie Underwood performed amazingly as usual, her performance included renditions of her hit songs ‘Good Girl’, ‘Blown Away’, ‘Two Black Cadillacs’, and ‘See You Again’. While she performed, clips of all of Carrie’s music videos appeared on the screen behind her. Country legends Alan Jackson and George Strait paid tribute to the iconic George Jones by with their breathtaking performance of George Jones’s hit song ‘He Stopped Loving her today’. As they performed the song, images of George Jones and his wife appeared on the screen behind Alan Jackson and George Strait. The Zac Brown Band, with the assistance of Dave Grohl( of the the band ‘The Foo Fighters’), gave their new song ‘Day for the Dead’ a great debut due to their energetic performance. Next up was Brad Paisley who performed his new single ‘Mona Lisa’, which was given extra character due to Brad’s shirt, which had an image of the Mona Lisa on it. Paisley not only showed off his amazing talent as a vocalist, but also did a breathtaking guitar solo that left the crowd in awe. Willie Nelson Lifetime Achievement Award Winner Kenny Rogers was honored next, with a medley of some of his hit songs performed by Jennifer Nettles(of country duo Sugarland), Darius Rucker, and Rascal Flatts. The number was made extra special when Kenny Rogers sang his classic hit ‘Islands in the Stream’ with Jennifer Nettles. Darius Rucker closed the show with his performance of the song ‘Wagon Wheel’, which was unfortunately cut off mid performance, but was still wonderfully done. So all in all, the 47th annual CMA awards were full of hilarious moments and amazing musical numbers. The show definitely did not disappoint, and made me excited for next year. All photos and information used in this blog belong to childstarlets,com, ABC, the CMAs, all associated labels and cooperations/businesses,, and any and all other original owners. I do not own anything in this blog. All opinions expressed in this blog are my own. I wrote this blog for entertainment purposes and no copyright infringement is intended. celindareyesblog June 21, 2014 No Comments on Monday Memos: 2014 CMA Recap. Category: Monday Memos. Tagged: 2013, 47th, alan jackson, annual, award show, ballad, blake shelton, blown away, brad paisley, carrie underwood, CMA, compass, cruise, darius rucker, dave grohl, day for the dead, dont let me be lonely, duo, edgar meyer, eric church, eric darken, everybodys got somebody…, florida georgia line, follow your arrow, george strait, good girl, group, he stopped loving her to…, hunter hayes, islands in the stream, jason aldean, jason mraz, jennifer nettles, kacey musgrave, keith urban, kenny rogers, lady antebellum, lennon and maisy, lifetime achievement awa…, little big town, luke bryan, male vocalist of the yea…, mine would be you, miranda lambert, mona lisa, music, my kinda night, new artist of the year, night train, pinnacle award, rascal flatts, red, round here, sam bush, see you again, sober, southern girl, sugarland, taylor swift, the band perry, the foo fighters, the outsiders, the voice, the zac brown band, Tim Mcgraw, trio, two black cadillacs, vince gill, wagon wheel, we were us, you belong with me.